Hello, spring! I hope you have enjoyed this week from wherever you may be reading this. It’s been sunny all spring break and I’m looking forward to the first spring showers tomorrow. Today’s blog will bit brief compared to the past four parts where I’ve discussed spiritual things during Mercury Retrograde. Do you have a spiritual side? Are you spiritual? For some people, they just muse through day to day life. Not paying much attention to their surroundings and what their soul feels. Its a difficult topic to grasp. Who are we? Why am I here? How do I get to that goal, house, status? A lot of what we want in this lifetime, we can achieve by looking at our soul. If you’ve been watching any of the latest Marvel Cinematic Universe films, the soul stone is a part of the set of infinity stones that Thanos is after. Here’s a direct quote of the powers of the soul stone from the MCU Wiki fan page. Since February I have been catching up on all the Marvel films that I’ve been oblivious to over the past ten years. I’m down to the last few films before I’m ready to see Captain Marvel and End Game: Black Panther, Infinity War, Ant-Man and the Wasp. I’m in no rush to see any of the films and I may not get to see any of the newest ones until they are shown at my universities theatre for free (before going to DVD). This is topical because last year, I recall chatting with a youth minister who was going to use the infinity stones as a guide for his kids to understand spirituality and Christianity principles. Brilliant! 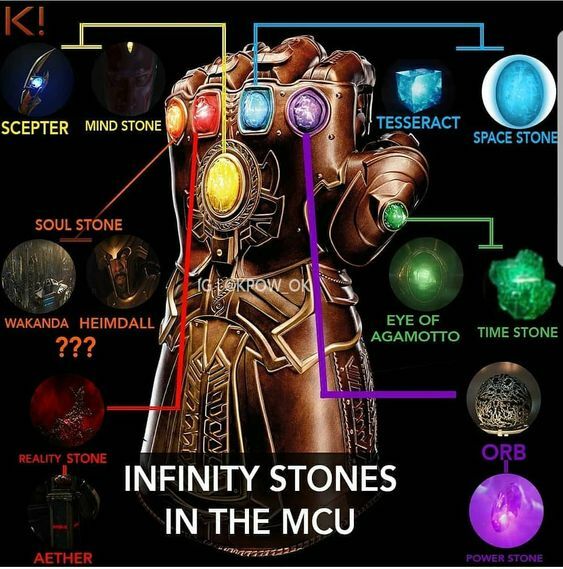 Save this blog’s reference to how the infinity stones and chakras correlate. Wonderful blog on this subject. Check it out here and bookmark it for later! Whatever you need to do to activate your soul- do that. Don’t even get me started on the mind stone- might save that topic for another month. This question gets an instant “no” from a few former friends of mine. I argue its because they might be blocked and such and just don’t want to see what it’ll take to activate their spiritual side. Spirituality doesn’t just appear on the first page of the novel. It’ll start to blossom as if its a newly planted seed. I personally believe that everyone has a spiritual side (good or bad) and that we all have ways to tap into it. Creativity is my preference, especially through music and writing. Creativity and spirituality go almost hand in hand. Sometimes they are different and that’s great. Another way you can be spiritual is by community activism through church participation, book clubs, volunteer organizations, etc. I have a friend who lives in a tight nit community and that’s what helps her feel belonged. To each their own. Reading can be a spiritual time to heal the soul with stories about such to get us through the day. I’ll say this again, my best advice is whatever makes you happy, do it. Chip away at the things that bring you down and find ways to cope without that person, lifestyle, or whatever it may be that slows you down; my own advice I’m having to swallow and take note of myself. While it is nice to take breaks and slow down to reflect its not healthy when true life goals are stopped at the train tracks till they can get the fuel to go again. Thanks for reading today’s post. Next week wraps up the spirituality series and then I’ll get to plan for April’s miniseries.